Sometimes you just don’t have time to make an omelet and sausage in the morning. Or perhaps you’ve got the afternoon cravings and nothing’s there except gluten-filled confections. Or maybe you’re just tired of eggs. 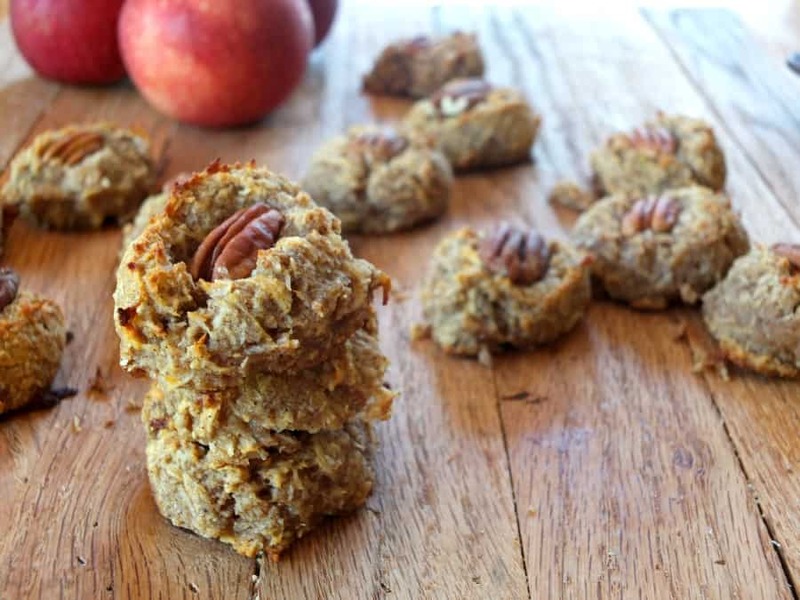 Avoid these situations with this delicious recipe for Apple Breakfast Cookies! These would be awesome in the morning paired with some jerky for extra protein. No more excuses to skip breakfast! 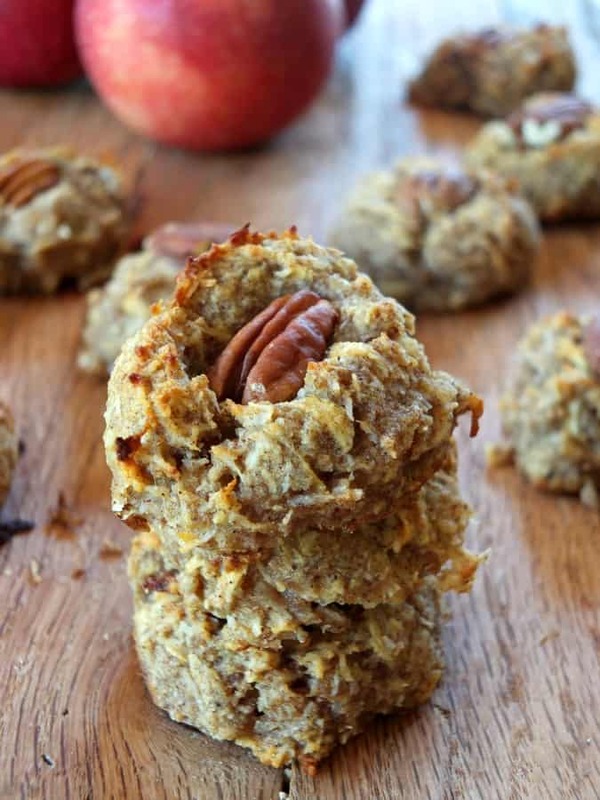 These cookies are so moist and full of delicious apple spice flavor. 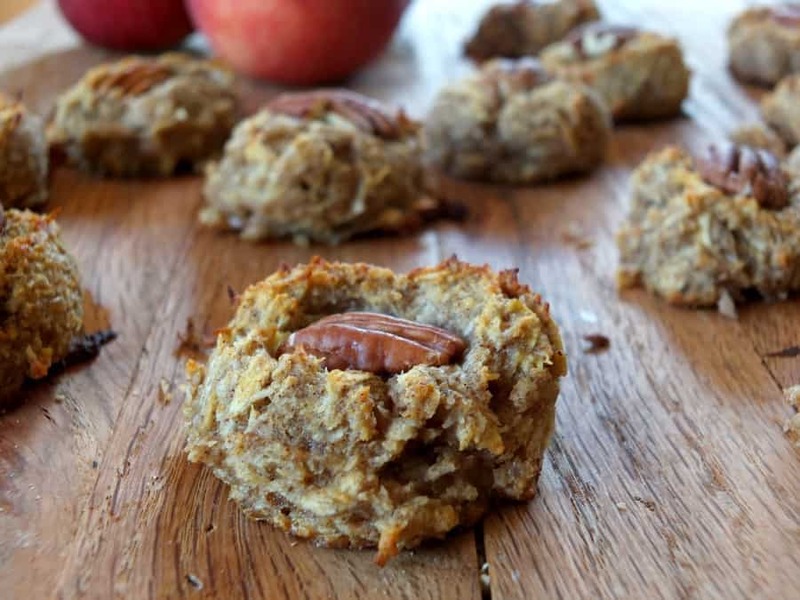 They are sweetened with just a banana, two apples, and some maple syrup. All natural sugars that contain lots of minerals to help the body cope with the carbohydrates. I love adding collagen peptides to recipes because its a protein that we just don’t get from muscle meats and eggs. It’s super healing for the gut, hair, skin, nails and muscles. Plus it’s completely tasteless, so you can’t tell there’s collagen in your breakfast cookies at all! I think the addition of pecans to this recipe is simply amazing, but if you’re allergic to nuts you don’t have to put them on. If you’re not allergic to nuts, feel free to play around and try almonds, hazelnuts, or whatever nut you like. Stirring some sunflower seeds or pumpkin seeds in the batter would also be really yummy. These cookies would also make a really nice addition to a child’s school lunch as a yummy dessert or as a between-classes snack to help fuel him/her. Their friends might just be jealous! One bowl, ten minutes prep time, and twenty minutes in the oven; these are so incredibly simple to make. You can whip up a batch or even a double batch on Sunday and have them for the rest of the week! You’ll probably want to store them in the refrigerator. Preheat oven to 350° F. and grease a large baking sheet with a bit of coconut oil. In a large mixing bowl, mash the banana and stir in the apples, coconut oil, maple syrup, and eggs. Add the collagen peptides, coconut flour, cinnamon, nutmeg, and cloves. Mix well. 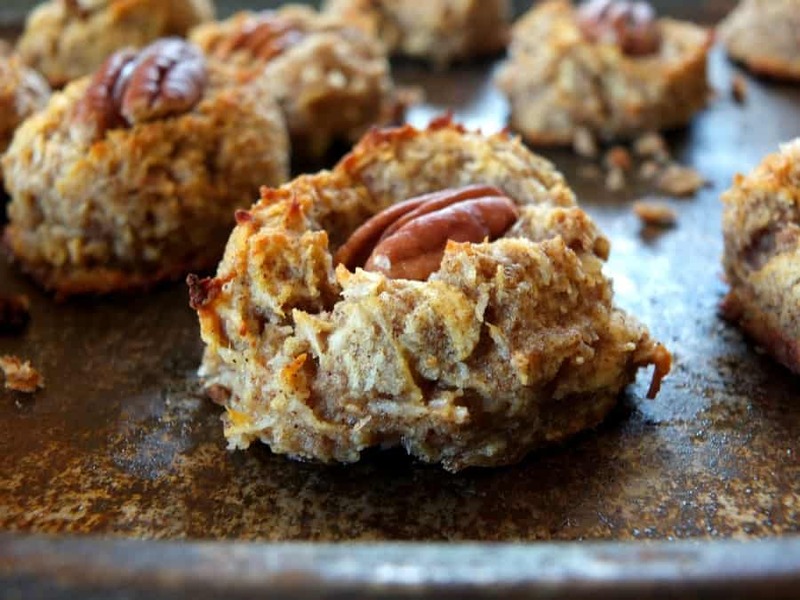 Drop by heaping tablespoonfuls onto the prepared baking sheet and press a raw pecan half into the top of each cookie. 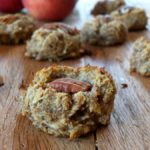 I would like to try the recipe for Apple breakfast cookies but I don’t have any collagen peptides and I don’t know where to get them. I live in New Zealand and have never seen them for sale. What could I substitute for them or could I just leave them out? Can I substitute honey for maple syrup as that is three times more expensive than honey? Do you have a specific apple that works better? Or any will do? Also you said 2 apples grated, what size apples? What should the finished grated amount be? Do you squeeze juice out of apples after grating? Sorry, lots of questions, but these look really good, and I don’t want to ruin them, wasting expensive ingredients. These cookies look absolutely delicious and I am all for a cookie I can eat for breakfast! I had never heard of collagen peptides before and after a quick Amazon search have discovered a whole new thing, but since I’m not a meat eater I’ll have to leave that out and just make the cookies with some extra coconut flour as you advised, no problem.